Dance Legend has teamed up again with the talented Anna Gorelova to create a new limited edition collection called HallOWLeen (see what they did with the name? Love it!). And I did it again, I bought another green polish 😀 Take a look and you’ll see why: What an amazingly stunning color. I can’t get over it! And then… flakies! Yay! I can never say no to anything that consists flakies. Gotta love them. 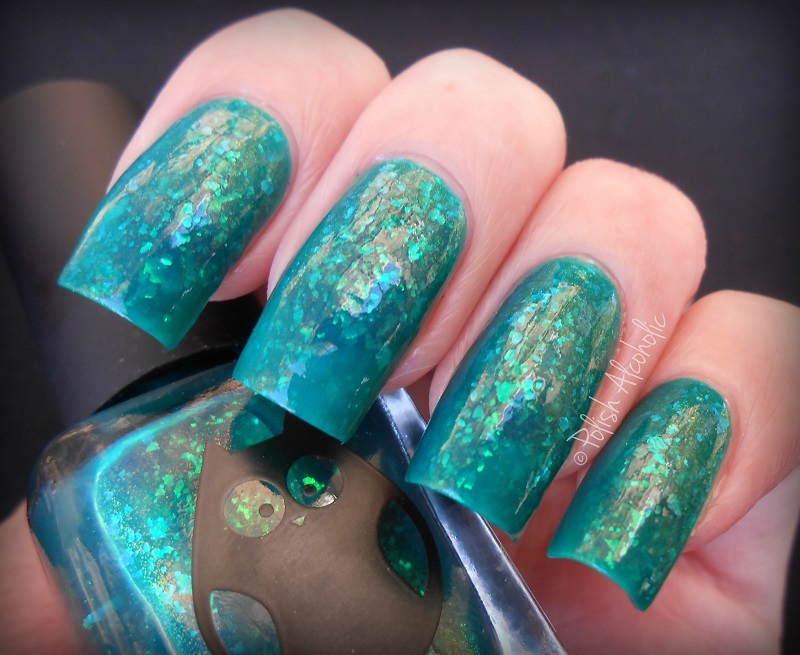 This entry was posted in Dance Legend and tagged anna gorelova, dance legend, dance legend fright, flakies, fright, hallowleen, jelly, review, swatch, swatches by Polish Alcoholic. Bookmark the permalink.